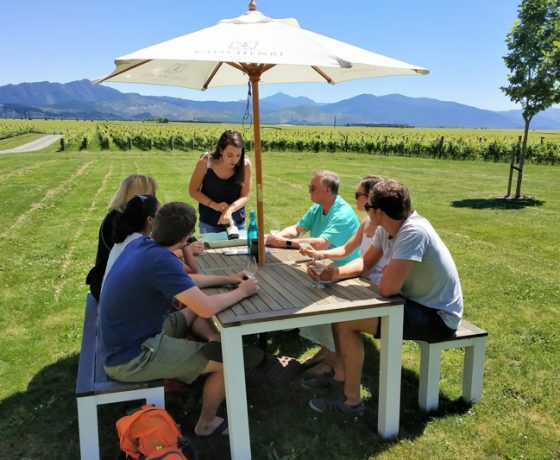 Experience the beautiful Marlborough Region on a fun filled, educational, relaxed and friendly wine tour around some of its finest wineries. 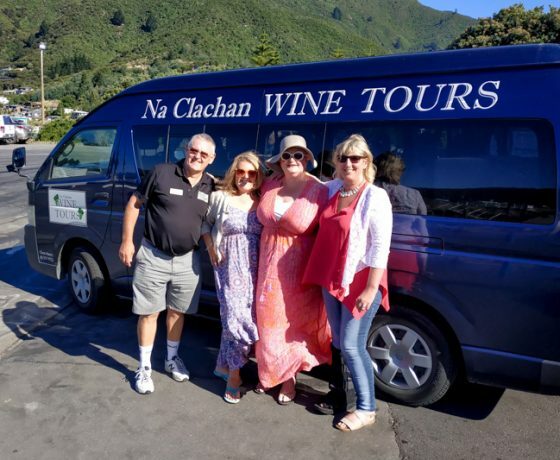 With stunning scenery, welcoming cellar doors, gorgeous wines and the option to sample local produce with a vineyard lunch, your tour with Na Clachan is a feast for all your senses. 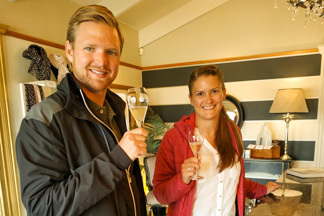 No two tours are the same as we try to set the itinerary to meet the wishes of the group. 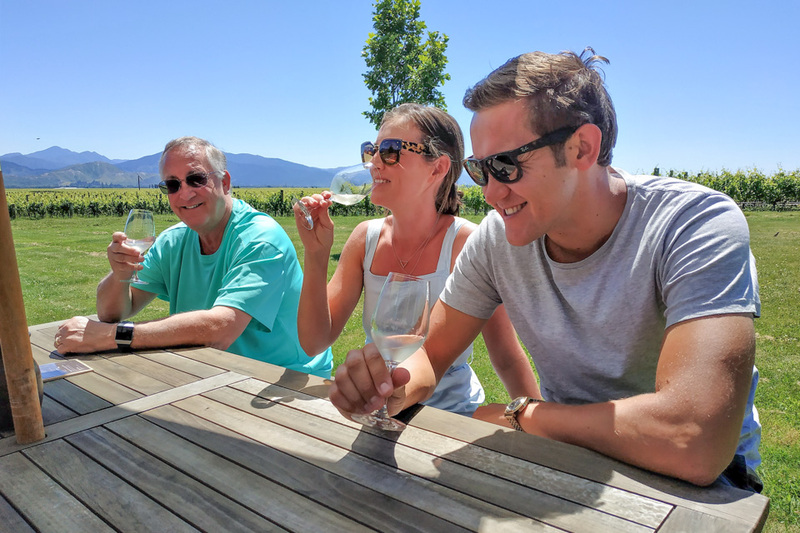 You can chose to revisit old favourites, experience new labels and varieties or simply leave it to your guide to take you on a voyage of discovery of Marlborough’s great wines. 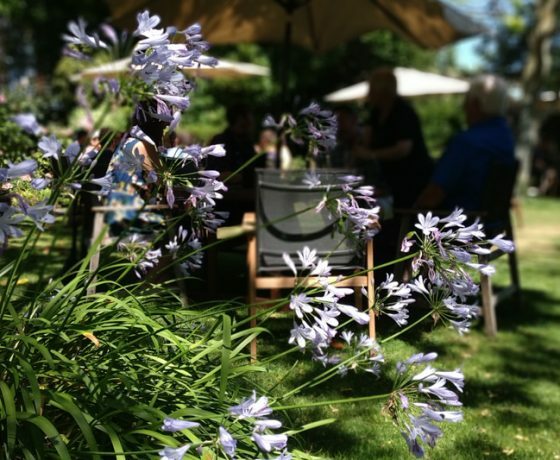 You’ll be amazed at the range of wines produced in this beautiful region. 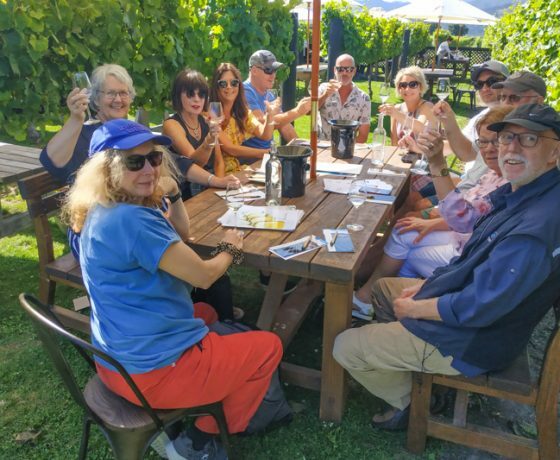 1/2 day wine tour with lunch lasting about 5 hours. 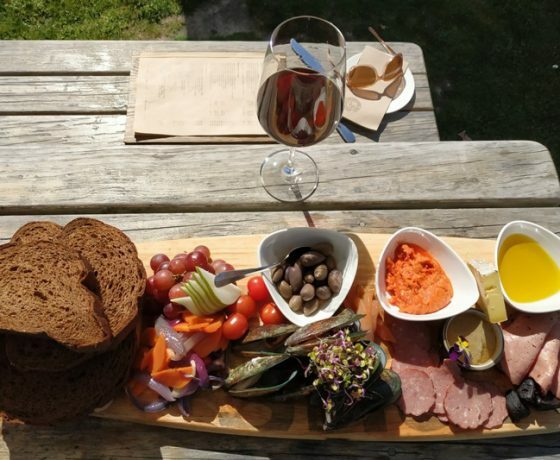 Start with a beautiful winery lunch ** and tasting then visit another 3 or 4 wineries in the afternoon. All standard tasting fees included. 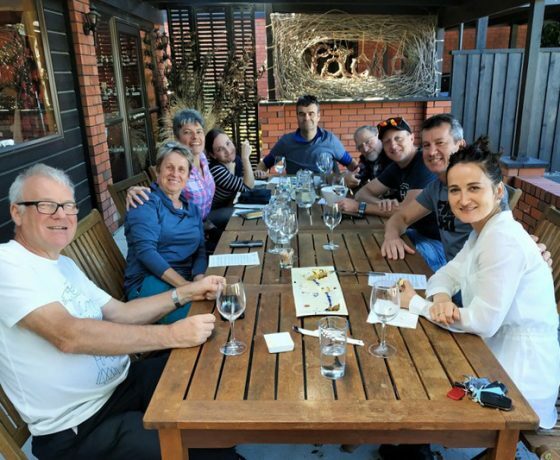 A fun afternoon while being educated by our experienced guides. 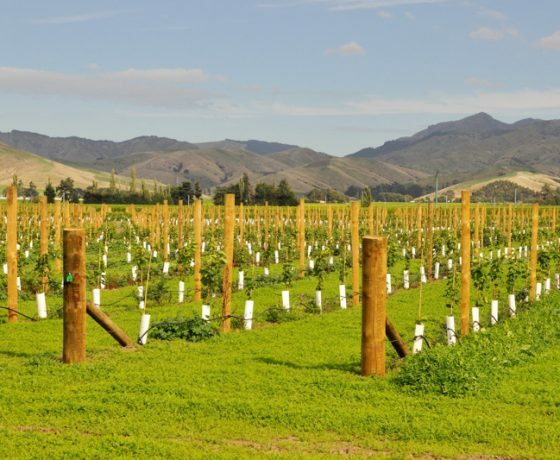 Enjoy the various grape varieties and wines that Marlborough has to offer while taking in the gorgeous scenery of the Wairau Valley. 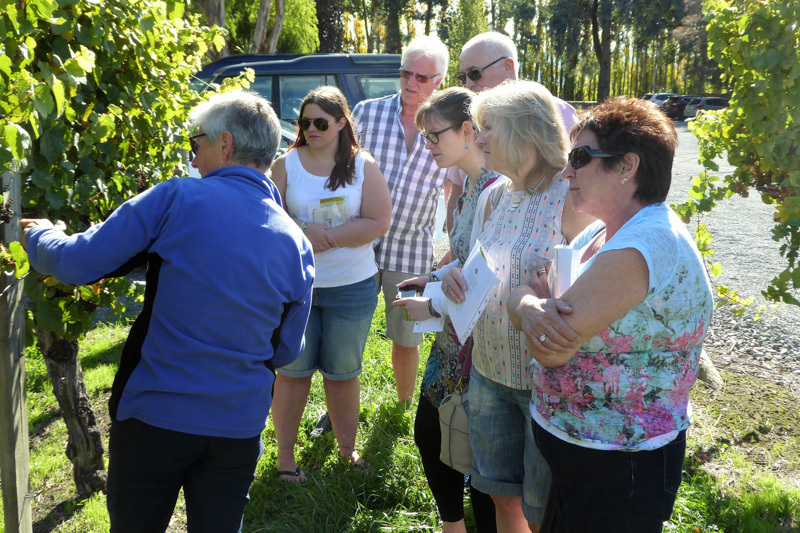 Learn about the history of the region and maybe challenge yourself on varieties of grapes and types of wines you may not be familiar with. 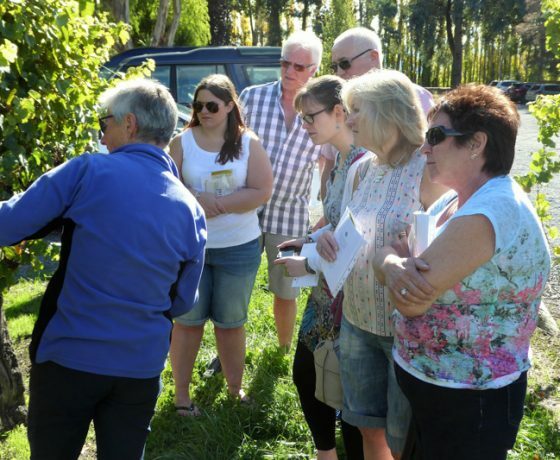 During the tour your guide will introduce each of the wineries and give the history of the region. Time permitting a talk in the vineyard discussing the way Marlborough tends the vines. 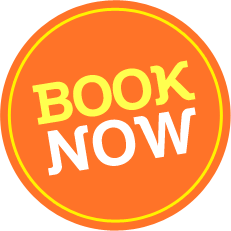 If you have any special requests please enter these during the booking process. * Pickup time will vary depending on where you are staying. 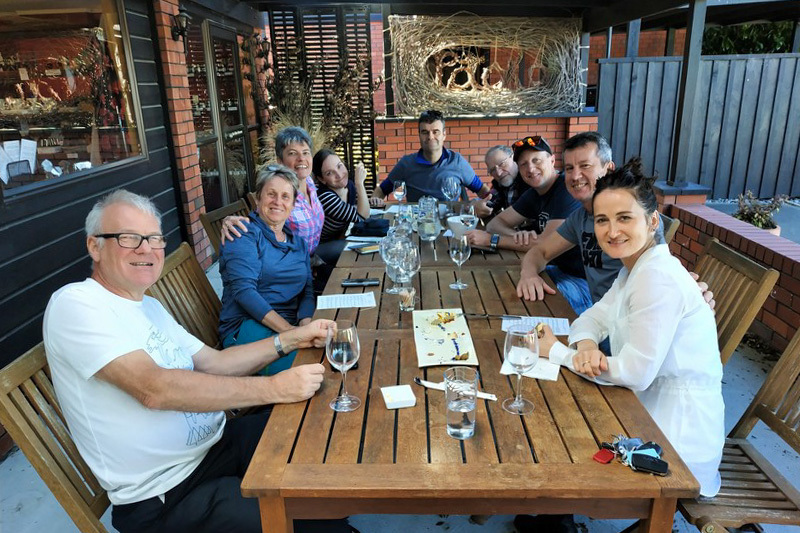 1/2 day wine tour without lunch lasting about 4 hours. We will pick you up from your accommodation about 1pm*. 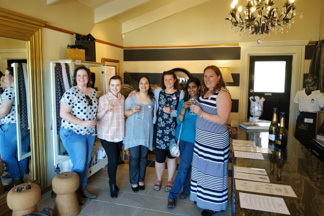 Visiting 3 or 4 wineries in the afternoon. 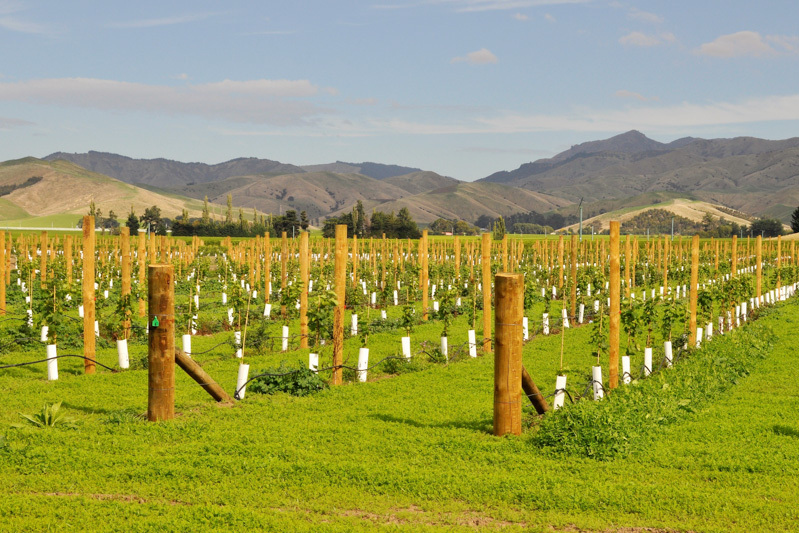 Enjoy the various varieties of grapes and wines that Marlborough has to offer while taking in the gorgeous scenery of the Wairau Valley. 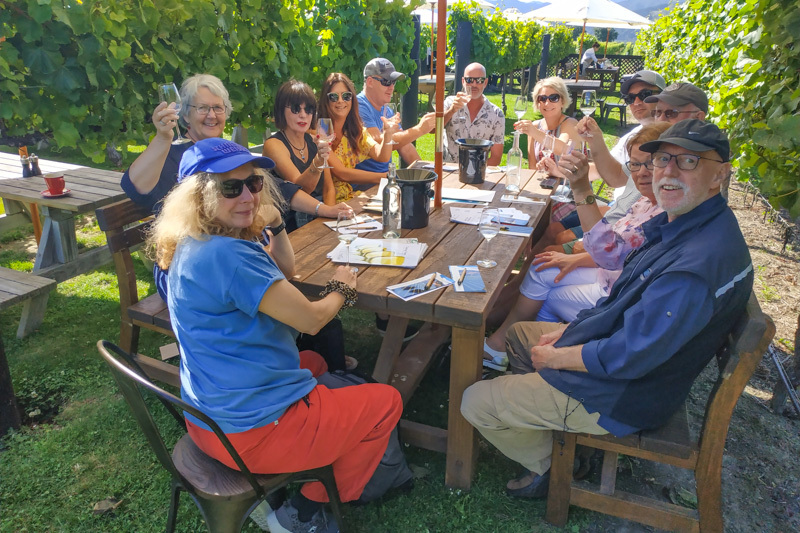 Learn about the history of the region and maybe challenge yourself on varieties of grapes and types of wines you may not be familiar with. 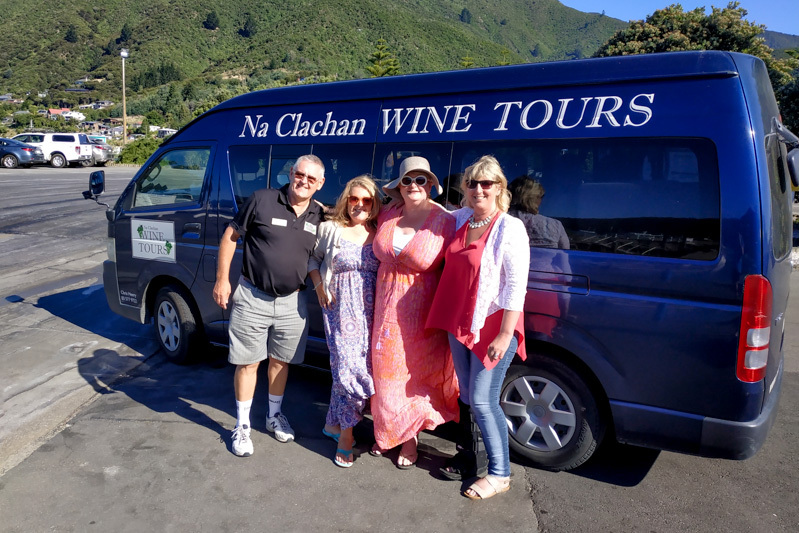 We have flexible tours and not one of our tours are the same. 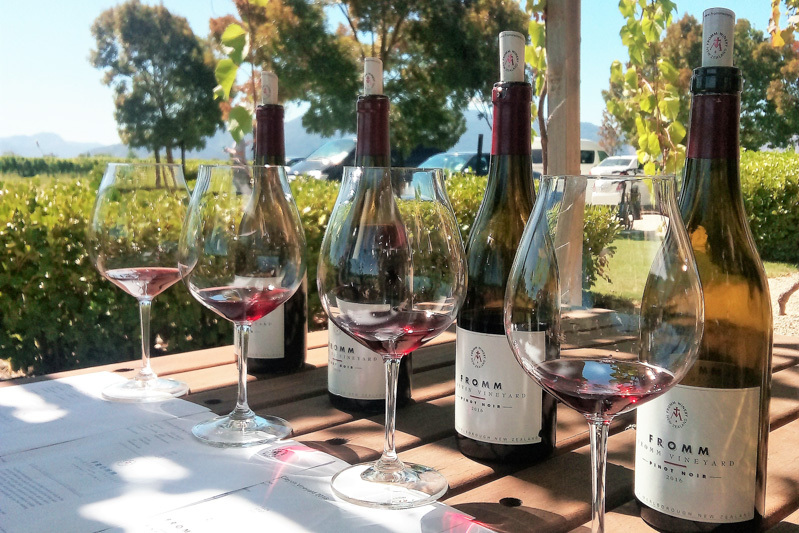 You have the opportunity to request a winery or varieties of grapes that you would like to taste. We take on board all our guests’ requests to try and satisfy them all. 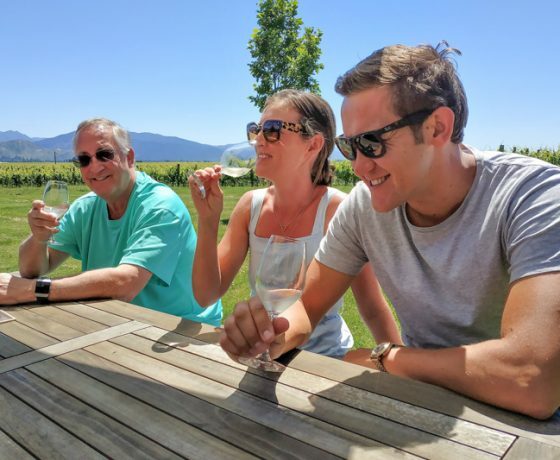 All standard tasting fees are included in the price of the tour. During the tour your guide will introduce each of the wineries and give the history of the region. 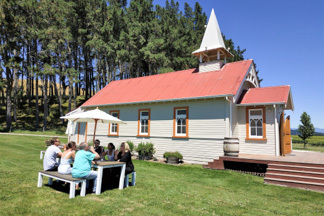 Time permitting a talk in the vineyard discussing the way Marlborough tends the vines. 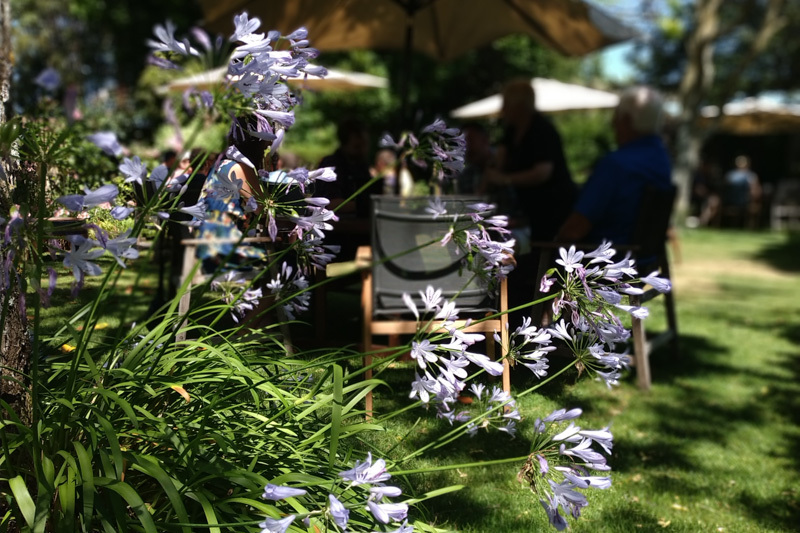 For those guests who want to have day long experience tasting wines from around the region. 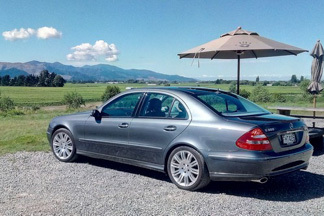 We pick you up from your accommodation about 9:30 am* if staying in Picton or Havelock . 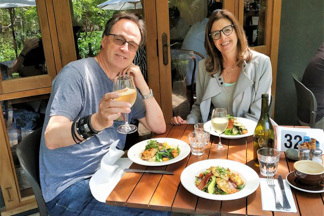 We visit 2 or 3 wineries in the morning and then stop for a winery lunch**. 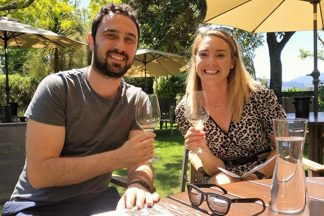 After lunch taste their wines and then visit another 3 or 4 wineries in the afternoon. 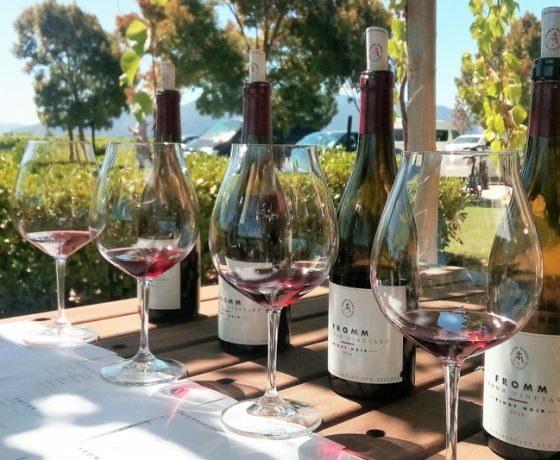 Enjoy the various grape varieties that Marlborough has to offer while taking in the gorgeous scenery of the Wairau Valley. Learn about the history of the region and maybe challenge yourself on varieties of grapes and types of wines you may not be familiar with. 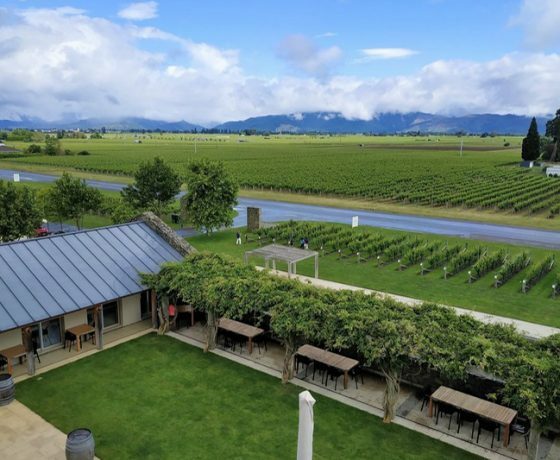 During the tour your guide will introduce each of the wineries and give the history of the region. 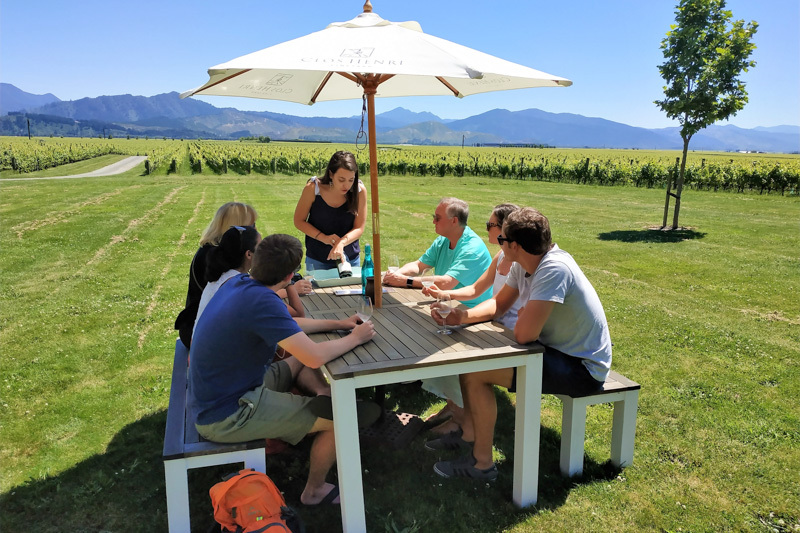 Time permitting a talk in the vineyard discussing the way Marlborough tends the vines. You have the opportunity to request a winery or grape varieties that you would like to taste. 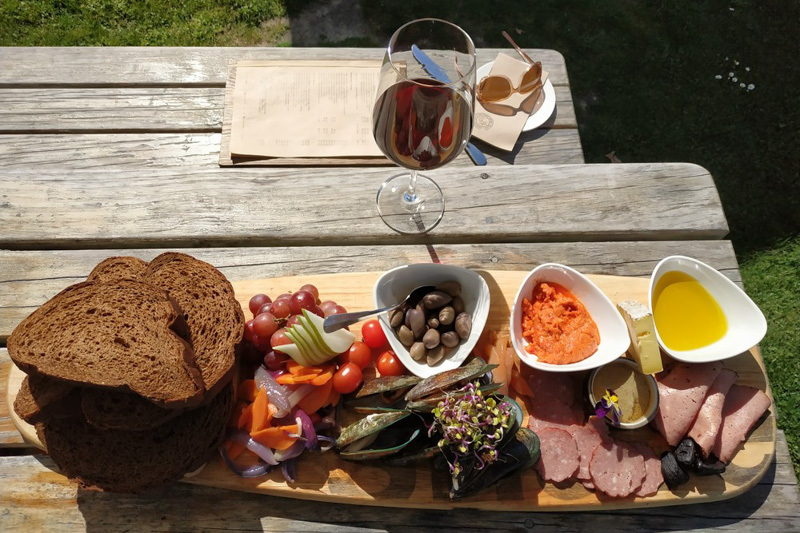 Visit Cloudy Bay, Villa Maria, Wither Hills and have lunch at the Brancott Heritage Centre with lovely views over the Brancott and Wairau Valleys. 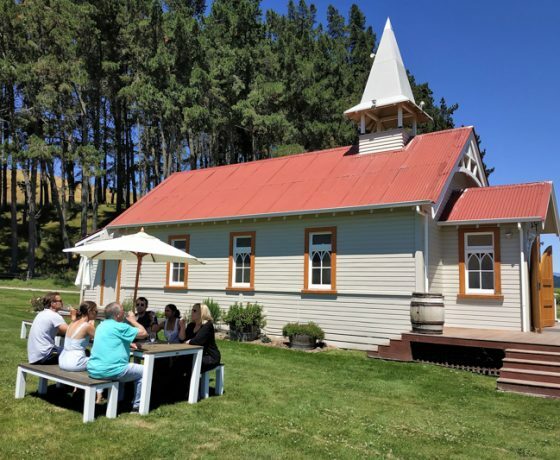 Visit Clos Henri (small French owned winery with Sauvignon Blanc and Pinot Noir), Te Whare Ra (taste Sauvignon Blanc, Riesling, Pinot Gris and Pinot Noir) , Fromm (a whole range of Pinot Noir wines as well as Syrah and Sauvignon Blanc, Lunch at Rock Ferry (Bubbles, Sauvignon Blanc, Pinot Blanc, Chardonnay, Pinot Noir and Tempranillo) also the possibility to visit Huia and Hans Herzog. Tasting fees and Lunch is extra to the hourly charge. Lunch main courses are usually between $20 and $30. 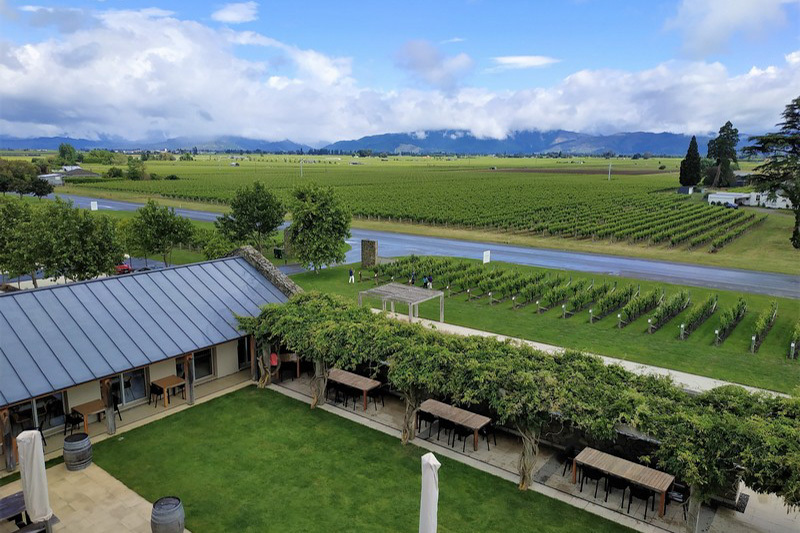 Tasting fees at most wineries are $5 each with the exception of Cloudy Bay and Hans Herzog who have different options and prices.